Fermentation is and has always been an important part of a healthy diet. We have lost many of the traditional fermented foods that would have been part of our diet. Come and visit us and learn how to put these foods back into your familys diet. 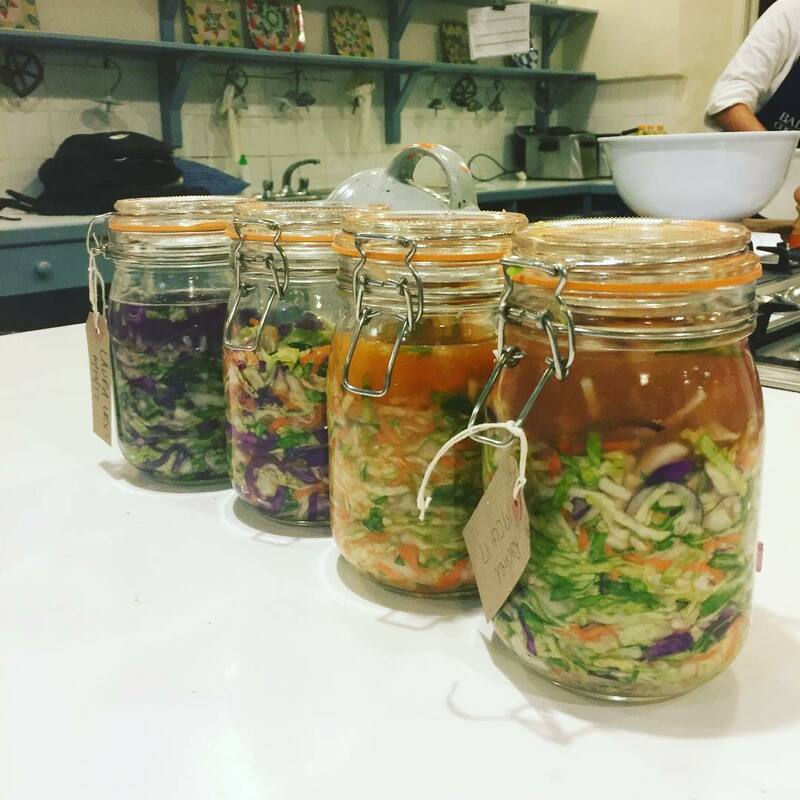 In this afternoon practical workshop, Penny Allen will show you how to make Sauerkraut, Kombucha and Water Kefir. You will leave with a jar of your very own sauerkraut and starter cultures for Kombucha and Kefir. Penny will demistify and remove the fear from making your own fermented foods in your kitchen at home. How to introduce fermented foods into your family diet. Work with Penny in the kitchen and come home with your own Jar of Saurkraut ready to be eaten in 5 days! We run this course several times a year. Please note this course begins at 2 pm with a tour of the farm and gardens here at Ballymaloe Cookery School before getting into the kitchen at 3pm.